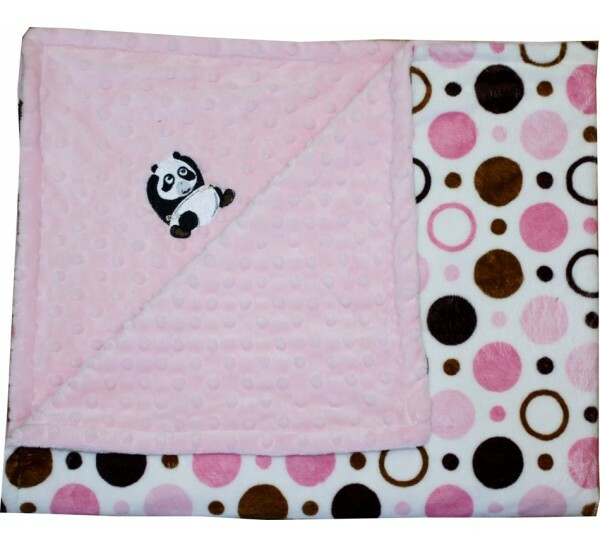 This luxurious minky blanket is embellished with an adorable original Lil' Cub Hub Panda Bear! It is made with a gorgeous pink and brown circle minky print on one side and a baby pink minky dot fabric on the other side. 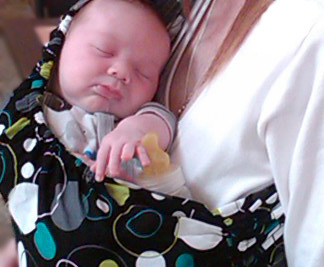 It is approximately 29"X35", the perfect size for a baby, children or even as a lap blanket. It is fully reversible and machine washable (wash on cold/low dry). I made a version of this blanket for my toddler son and he loved it so much I ended up making many, many more for him. He brings them everywhere! A lady who purchased one told me she also took it everywhere as a lap blanket! Apparently a security blanket isn't just for toddlers anymore. This would make a wonderful gift for a baby, child, or the expecting parents. 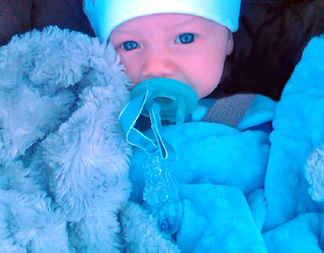 When you buy Lil' Cub Hub products, together we donate handmade blankets to hospitals.